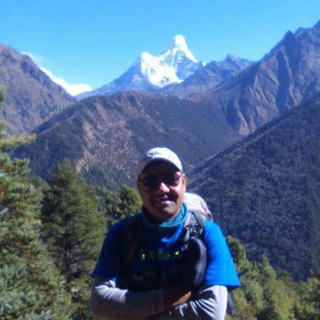 Kisan Thapa is a founder of Good Vibe Adventure, who is a professional operator specializing in trekking and tourism. He is from Gorkha district of western Nepal. He started his initial career as a porter in trekking and promoted in guide. Later, he established Good Vibe Adventure Company to provide professional and qualitative services in trekking and tours. He is a dynamic person highly dedicating in responsible trips, arranging accommodations and transportations. He has excellent knowledge in English and Chinese language. His huge experience in tourism has made Good Vibe Adventure one of the leading trekking and tour operators in Nepal. Ramkrishna Karki is a guest relations manager of the Good Vibe Adventure Company. He is young and energetic. He is from hill side of Dhading district and has got sound knowledge about mountain lifestyle, culture and traditions. He helps guests on providing information and suggests about do(s) and do not(s) during the trip. He is helpful, who never bothers on providing services to the guests. We always aim to employ people from the specific areas we travel, with their regional expertise, experience all of the highlights of the land and culture. We thereby share our business with local communities and all people along the journey benefit from the tour. The Good Vibe Adventure Company maintains the highest safety and quality standards and our loyal guides are selected for their experience and leadership ability and certified for dealing with remote emergencies as needed. Our experienced crew of professionals will ensure that your travels are not only enjoyable but safe and sound. All staff receives insurance, appropriate apparel and equipment, and an industry standard pay rate. Our faithful crew enjoys nothing more than sharing the hospitality and beauty of the Himalaya with our guests. Arisoodan Shrestha is a tour guide at our company. He is expert in English, Japanese and Hindi languages and has been guiding since the establishment of the Good Vibe Adventure Company. 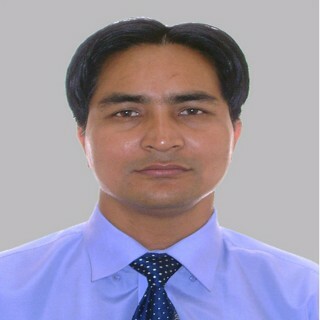 He is a licensed tour guide authorized by the government of Nepal, Ministry of Tourism. He is very experienced, honest and professional in his job. He is a citizen of Kathmandu; belonging to the local Newar community. It is one of the indigenous groups among more than 132 indigenous groups of people in Nepal. They also have their own Newari mother Language/dialects. This community is rich in their own Culture, Custom, Art and History. Almost all Cultures and Festival belong to Newari community. We are very proud our team members have such a knowledgeable person as a Tour Guide.